Superdry women’s Little Bay Cold Shoulder top. This knit top will be a summer favourite. 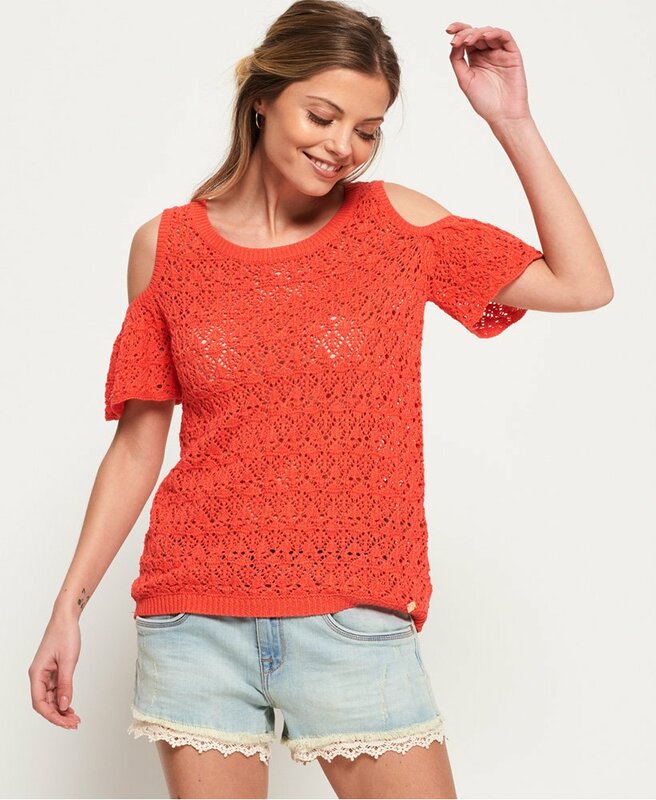 Featuring a flattering cold shoulder design, all over crochet pattern and finished with a metal Superdry logo tab on the seam. This top can be worn all season, whether it’s on those cooler days layered on top of a bandeau and jeans, or to the beach over a bikini with shorts.